The TV series The Office can be an example of how a company should not operate for many people out there. At the same time, one can find deep meaning in anything they’re completely obsessed with. We chose to look for lessons on how to improve productivity in an organization like Dunder Mifflin. “Boost team productivity at workplace. Use ProofHub! What ‘The Office’ is all about? How can one relate to ‘The Office’? Dunder Mifflin, the fictional paper company in NBC’s The Office can certainly be perceived as an awkward workplace mockumentary with little to no value. From a childish boss to an ineffective clueless human resources department and narcissistic to petty, game-player coworkers, this American series has it all. How can one learn how a company should operate from a virtual laboratory that is the flag bearer of corporate dysfunction? But, is it completely unrealistic? “No,” we hear you say. So, the work environment around you may not be as funny. The Office, however, imitates life. The hiccups that make for a good comedy are not so far from the truth. Struggle with all-too-real work efficiency challenges is common. The average American works for 8.8 hours every day. However, not many people out of a study of nearly 2,000 full-time office workers are working for most of the time they’re at work. Don’t you think the 9-10 hours that people spend at work may produce the same results as the 8 hours if there are more stable circumstances? And as they say, mistakes are the stepping stones to success. One can sure find take-home lessons about leadership, ethics, diversity and even conflict resolution from this series. 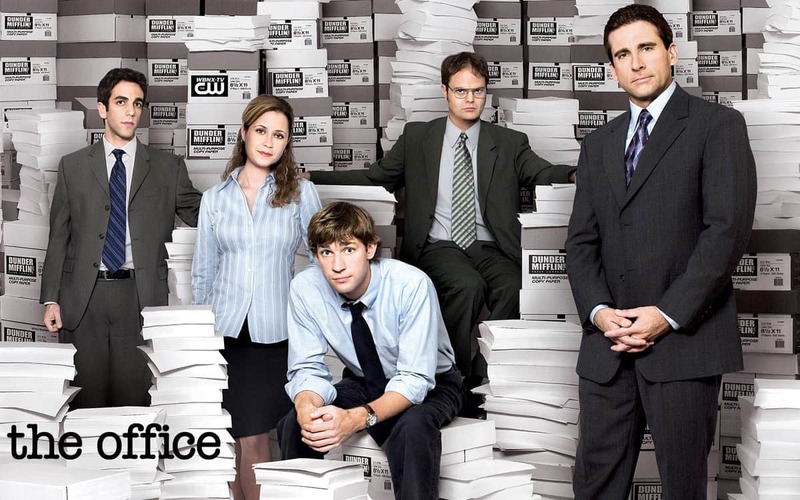 Here are 8 lessons we learned from The Office on how to improve productivity in the workplace. Let’s get started! When no one in the office has full understanding of what generates value for customers, clients or consumers, other improvement exercises will be of no use. 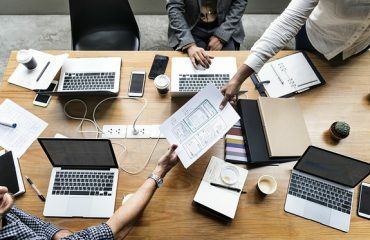 Once one has the desire to generate value and understands the importance of it, however, from teams to leads to the bosses, everyone will be clear about what investment they’re putting to add value to the final product. So, everything starts with a firm grasp on what is going to generate value and also what is not going to. The branch manager Michael Scott in the season two of The Office, tells his supervisor naively that his team accomplishes very little when he is not around to guide them. You’ll notice him fumble for a more favorable description of his management style, however. The implication of the statement is clear. No matter he’s there or not, the team is never very much productive. At the same time, they’re not focused on value-adding activities too. Most of the times, mismanagement or plans on the wrong track can be the only reason people don’t get the workflow right and end up being non-productive. For the grace of good management, the right plans and workflows shall be in place. While the team at The Office isn’t very productive, at the same time it’s not focused on value-adding activities too. Rooting out why the team isn’t into such activities is required. We know how plans on wrong track give us very less idea about how the workflow shall work. But can be this surface level problem be the only reason of non-productivity? Most probably, not. One shall dig deeper to uncover the true issue that must be addressed in the first place. What needs to be fixed needs to be fixed. And fixing something that doesn’t even need to be fixed will take the team nowhere. You’ve reviewed the current situation at work. Now what? 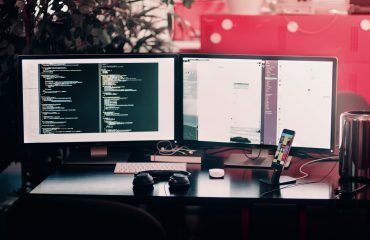 While most of the organizations have the capabilities to systematize solutions, they, however, lack the will or the understanding required to apply them effectively. Assembling a system of people, plans, and tools that help resolve the issues identified in the two reviews done above, helps moving forward effectively and efficiently. The team in The Office spends far more time spying, posturing and gossiping than actually creating value. And unfortunately, it won’t be wrong to say that it’s common in many of the workplaces. Emotional inefficiency is not very uncommon. Disengaging from game-playing would probably be one of the exercises that will save you a lot of energy and time. The only thing one should do is to just notice what’s going on, but find a way to pull back and continue doing their work. The Office boss, Michael Scott, is one boss who makes racist and sexist comments every now and then. Complaining about this led the HR to bring in the diversity training. Was that the real solution? How much time will be wasted while solving a problem with the wrong solution? Is that how one can increase productivity? Well, no. While in the real world, there should be a zero-tolerance policy for such remarks, the one and only person accountable for such remarks should be the one making them. Whenever such things happen one can just calm down for the moment and speak with them later – let some clarity come in the picture. Saying – “I enjoy working here, but I find it downright demeaning when you make such remarks,” can make people back down and save you a lot of time overthinking and feeling bad about it. From stressful meetings to terrible bosses and even bad breakups to fights at home, one can have many reasons to be sad at work. All of these situations are draining and work like a hiccup to productivity. From loosening up the office atmosphere with a “That’s what she said” joke to chilling out while pranking Dwight, laughter is the best form of therapy at Dunder Mifflin. A little humor can get you through anything, after all. Delays in the working world are a common thing. However, whenever we are forced to wait we realize how things are not in our control. It’s draining to think that our plans are not the ultimate plans and that we can’t always have our ways. Jim Halpert having to watch the love of his life be engaged to someone else for years and be patient about it too, may not be the perfect example of patience. But it doesn’t change the fact that patience does someday pay off. Good things come to those who do their bid and wait patiently. When one is really into how to improve productivity in the workplace, the issues, as well as their solutions will be clear. The change might not be immediate, but the productivity that will occur because of the adjustments is imminent.